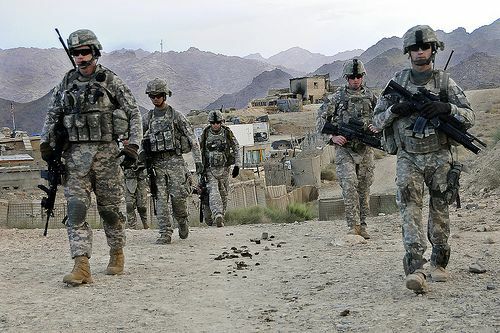 US soldiers depart Forward Operating Base Baylough, Afghanistan, on June 16, 2010, to conduct a patrol. The Soldiers are from 1st Platoon, Delta Company, 1st Battalion, 4th Infantry Regiment. Photo via the US Army by Staff Sgt. William Tremblay.